You see them inching along, so slow and plump. Even people who don't like bugs tend to feel better about caterpillars, since you know that they will eventually turn into something beautiful. 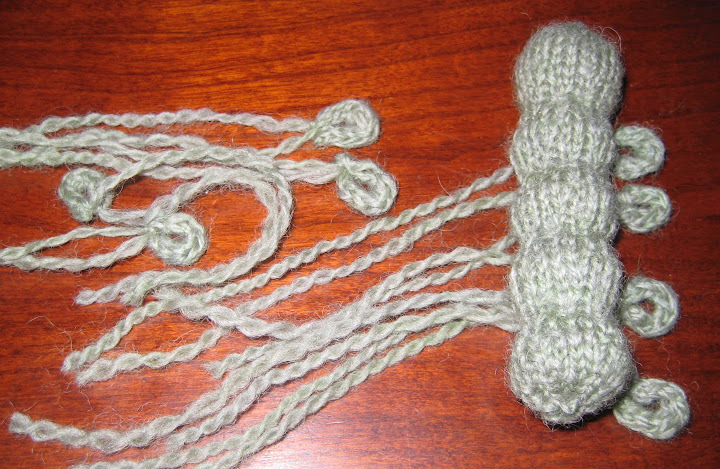 I am delighted to share with you this pattern for a knit caterpillar stuffed toy. 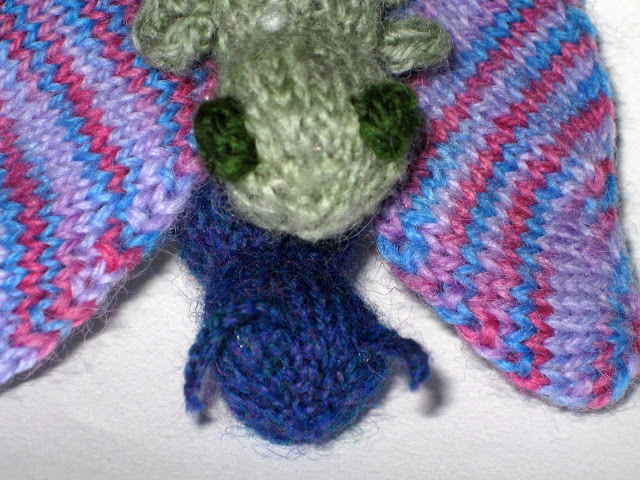 Be sure to see what this guy will become, in Metamorphosis Part II, the Butterfly Knitting Pattern. Stuff the caterpillar. Tip, the end of a pencil or pen may be helpful for the stuffing! CO 3 sts in MC. Work as Icord for 8 rounds. Sew ends together into loop. Attach three to each side of the body. CO 3 sts of CC. Work in Icord for 4 rounds. Tie into a circle. 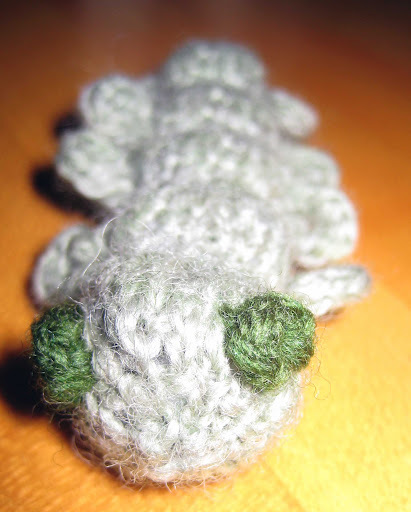 Sew onto the head of the caterpillar. Check out the second part of this series... the butterfly! This pattern is completely adorable! I made an olive green caterpillar to match my pink and orange butterfly, and am in love with the pair. However, I think I may have found a typo. In the body section, where you said "Repeat rows 15-20 three more times," did you mean rows 13-20? That's what I did, and mine turned out to look like yours. I don't think the math would work out the other way. But otherwise, this pattern is great! Your blog is so creative, I'm having a lot of fun looking at your patterns. And I got the World of Knitted Toys from the library, so I have even more things to knit! You're right, it was a typo (should be 13-20) that I've now fixed. I'm really glad that you enjoyed it! this is adorable! i'm going to make both the caterpillar and the butterfly for my granddaughter. thanks for sharing!! Hi I am looking to buy one of these as I can't knit and need a replacement for one that has been lost! Can anyone help me? Anonymous, I cannot contact you since you have no information here. The only person who would be able to sell you one of these caterpillars would be me (otherwise the other party would be in violation of my copyright.) Contact me directly (chemknitsblog at gmail.com) and I'll see what I can do. Whoops! MC means Main Color, and CC means contrasting color. I use these designations in case you select colors that differ for the ones I chose. Knitting according to me is a skilful art and requires geat deal of time and concentration. My grandmother used to do it when I was a kid. Really a great post. I got your idea very well, the next thing is I need to implement it. Keep updating these types of interesting posts. Also, thanks for sharing these types of posts.